Have you ever thought about all that your teeth can do? 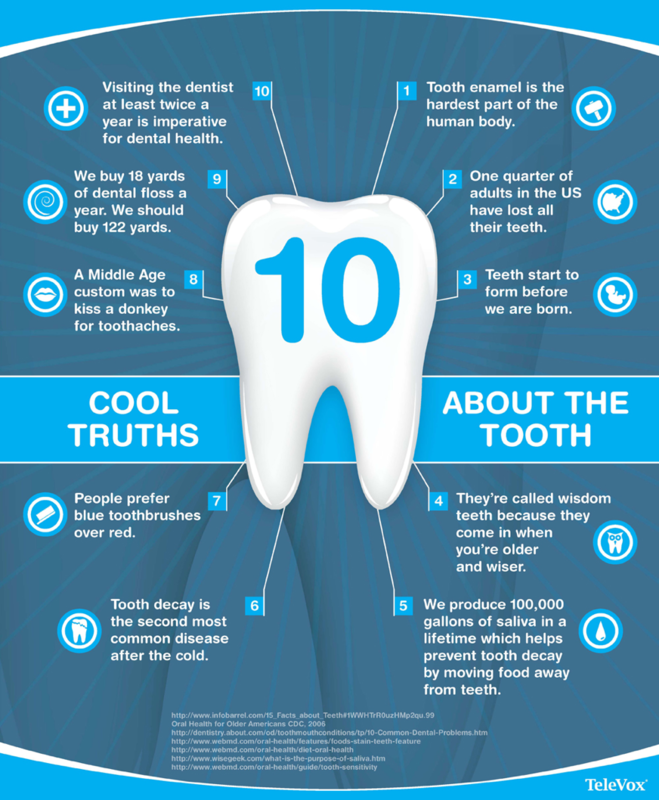 Check out this infographic to learn some interesting facts you may not have known about the tooth. A smile matters more than you think in terms of physical and mental health. Here are 5 benefits to smiling more. Lower heart rate. When you laugh and smile studies have shown that your muscles can be more relaxed, causing a decrease in heart rate. A Better mood. Smiling can cause a boost to your mood and an increase in the positive thoughts you experience. Even if you don’t start in the best of spirits, a fake smile can turn into a real one causing those around you to reap the benefits as well. Increase productivity. There is a surge of dopamine, endorphins, and serotonin that takes place when smiling. This surge can help you get your work load done in a more upbeat and motivated way. Ease pain. Again, the release of dopamine, endorphins, and serotonin all play into this factor. These three neurotransmitters are known to be natural pain killers. Live longer. One study even suggests that those who smile more often can live nearly seven years longer. Remember, you’re never fully dressed without a smile, so spread the joy and smile whenever you get the chance! Why might a sealant be the answer to your plaque build-up problems? Brushing and flossing regularly are great habits that do help get most of the bacteria and particles left in the mouth out after eating and/or drinking. While these habits get most everything out, they can’t get it all. Sometimes sealants are placed over the grooves on the outer layer of teeth to make it harder for plaque to develop. A dental sealant is basically a plastic cover that adds an extra layer protection in the heavily grooved or pitted areas of teeth. What might a dental sealant procedure look like? 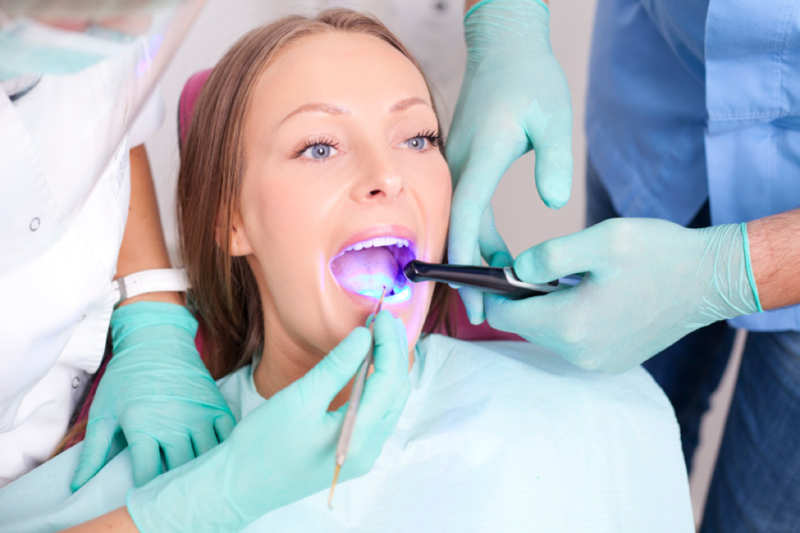 Your dental hygienist will completely polish the surface of your teeth. Once they are sure everything is off they will dry and etch the surface. The etching material is then rinsed off and you are ready to have the sealant placed. The dental sealant material will be placed on the tooth and a special light will be used as a bonding agent. This takes about 30-60 seconds in total. Your dental hygienist and dentist will both check to make sure the proper contact between the tooth and sealant. The plastic will harden and you are free to use your tooth normally again. There are many reasons people decide to get braces when they are older rather than younger. Braces help align your teeth and jaw so that you have the best smile and oral comfort possible. It will also become easier to keep your teeth clean after you get them taken off. Here are some quick tips for the adults that are considering getting braces. You should be brushing your teeth every time you eat, not only twice a day. You never know what might get stuck in between the wires and it’s important that any food or drink particles are out of your mouth after eating. You must pay extra attention in order to protect yourself from decay, staining, and gum disease when you have braces. A mouthwash with fluoride can help prevent white spots and cavities from developing on your teeth. Watch the foods you eat. Hard foods like carrots can get stuck in between brackets or teeth, sticky drinks like soda can stick to the surfaces of teeth, and sugary foods like gum and candy can lead to tooth decay. All of these types of food and drinks should be minimized whenever possible. There are many types of braces out there to fit everyone’s individual lifestyle, wants, and needs. Traditional braces, ceramic braces, damon braces, clear and removable aligners, forsus appliances, and palatial expanders are just some of the choices out there. Your dental team is here to help with any questions or concerns you have at all times. 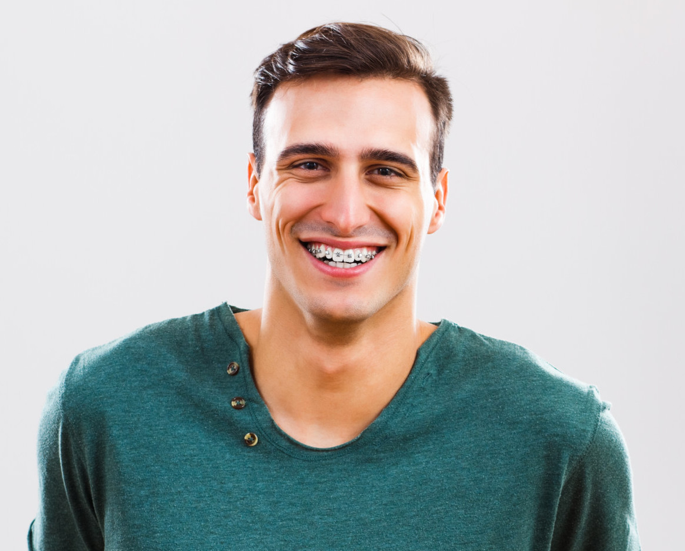 Talk to us today to see if adult braces could be the right option for you! A visit to the dentist should be as pleasant as possible. At our office, we want you to feel relaxed and comfortable, but most of all safe during the entirety of your stay. We offer a variety of beverages in our reception area, televisions on the ceilings in our treatment rooms, pillows, blankets, and hot towels for after your treatment has commenced. We also have some of the most innovative technology in the industry as well as added amenities to help your time in our office fly by. Our digital X-rays actually reduce radiation and give instantaneous, diagnostic radiographs. This means quicker results for our dental team to review and a quicker time in and out of the office for you. 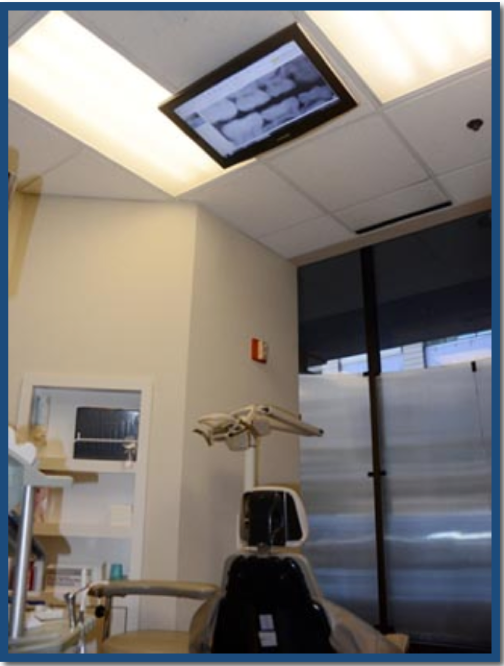 Our intra-oral cameras give you a direct view of what the dentist sees right as your appointment is happening. The overhead monitor is placed above you so that you have a clear and concise view of everything that is happening. We use our diagnodent laser instruments to detect decay that often goes unnoticed with more of the traditional procedures, tools, and checkups. We want to prevent and/or treat whenever we notice something. We also offer the ability to use nitrous oxide gas during various dental procedures to ensure relaxation and peace-of-mind. If you want to listen to music or just not hear your procedure during your time in the office, we also have complimentary headphones to use at the time of your visit. 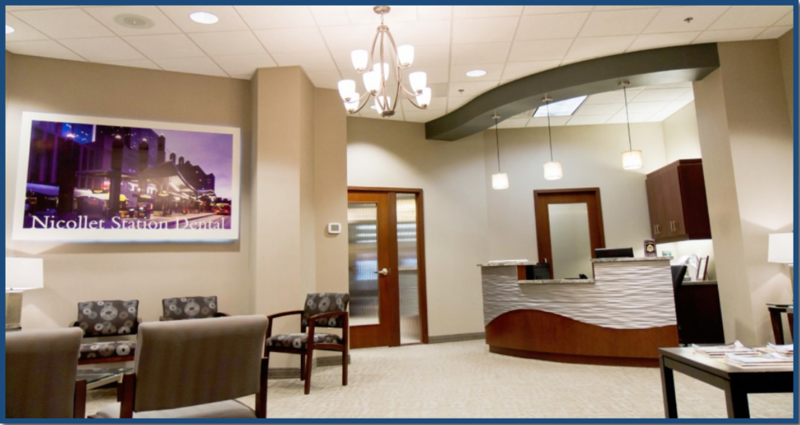 We want you to have the best experience while visiting Nicollet Station Dental and we would love to hear any comments about how we can make your time with us better. From our team to you, thanks for being Nicollet Station Dental patient! 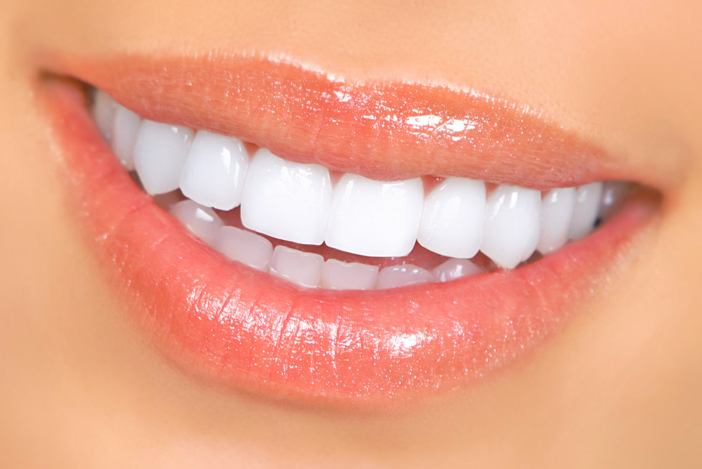 With so many options on how to whiten your teeth, it is important to know your options. We’ve broken down the top four methods that can help you achieve brighter and whiter teeth. In our office, we have the ability to administer whitening products directly to your teeth and/or give you at home whitening trays. Our in-office treatment uses a highly-concentrated gel that requires more protection of the gums so it has to be done in-office. In a short time, we can give your teeth a quick whitening boost. We tend to pair this treatment with trays to extend the results longer. You can usually purchase toothpastes and mouthwashes that contain whitening agents in their chemical make-up from most larger retail stores. It is important to look at different factors like the active ingredients, price, and reviews so that you can get the best results for you. Many of the foods and drinks we love can stain our teeth over time. Limiting the amounts of coffee, colas, tea, wines, tomato juices, berries, high-sugared candies, foods with dye in their ingredients, etc. If it’s too hard to limit these, try adding a straw to your routine. You still get to enjoy your favorite drinks this way. Try incorporating more fibrous fruits like apples or pears, malic acid containing strawberries, high iron broccoli, and carrots which have an abrasive surface to naturally scrub residues off your teeth too. 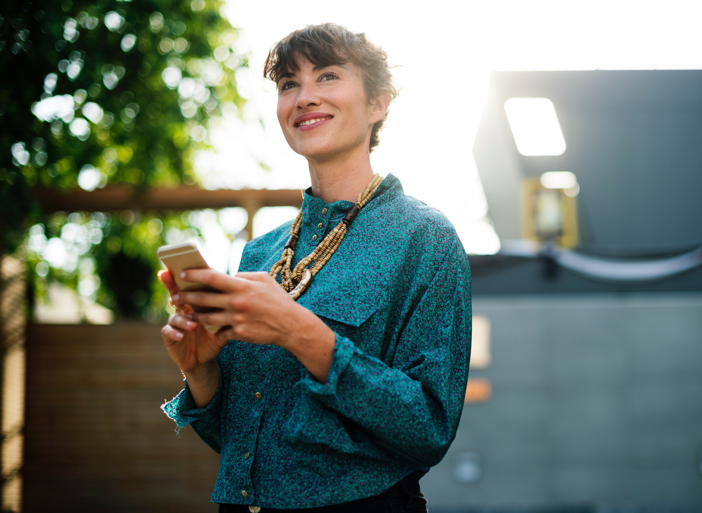 Now that you know some of the best ways to achieve a brighter smile, we hope you have more background information the next time you consider whitening your teeth. Fluoride is a naturally occurring mineral that develops near bodies of water. Fluoride can actually be found in some everyday things like water, foods, mouth rinses, and toothpaste too. Fluoride helps make your teeth stronger and more apt to defend themselves against things like cavities ad plaque build-up. It can help repair the early stages of tooth decay and can help harden enamel as well. Fluoride is applied to the surfaces of the teeth and then absorbed through the enamel. This process allows for calcium and phosphorous that may have been lost to be replenished. Fluoride is helpful for contributing to a healthy set of teeth and can be useful to anyone at risk to tooth decay. Ask your dentist if fluoride treatment may be an option for you at your next dental check-up. What you eat plays a role in your oral health. 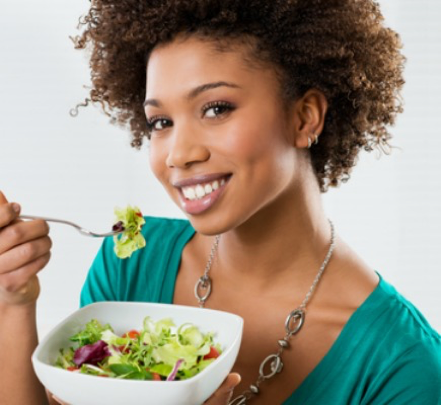 Eating well ensures that you are getting all the proper nutrients into your body and building up your body’s immunity to things like tooth decay and infections. Many processed foods contained high amounts of sugars, carbohydrates, and starches. Foods with high amounts of these things can contribute to the creation of plaque acids. Once developed these acids can eventually attack tooth enamel, ultimately leading to the formation of cavities. Some good news is that your saliva is actually able to wash away some of the plaque acids that develop as you eat. Your saliva can only do so much for your oral health and dependent on how much of these not-so-great foods that you put in your body it may not be enough to protect your teeth. This is not to say that all foods that contain sugars, carbohydrates, and starches are bad. This is to say that you should try to lessen the amounts of foods that have been known to contain less of the nutrients you need and more of the things you don’t, like added sugars. Items like dairy products and vegetables contain higher amounts of sugars than you might expect. Things like cheese, fruit, almonds, and raw veggies are super nutritious and help get your body the vitamins and nutrients that are good for you into your system. Try to read nutrition labels and limit sugary snacks like pop or juices whenever you can. Remember, it’s all about moderation. Your diet really does contribute to how your mouth looks and feels on a day-to-day basis. To look and feel good remember to be conscious of the foods you put into your body. If you have ever wanted an unbiased assessment of your dentistry options, talk to our dental specialists at Nicollet Station Dental for a free second opinion. Why might you want a second opinion? 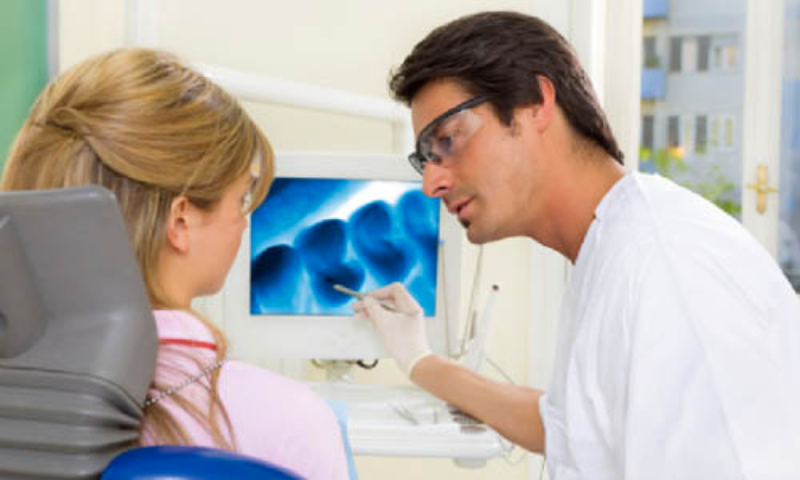 You may want to get a second opinion when you’ve been diagnosed with a major problem such as oral cancer, you’ve had previous dental work and are still experiencing problems, are worried about costs, want to make sure your treatment is necessary, or if any other dental scenario is weighing heavily on your mind. What are the benefits of a second opinion? 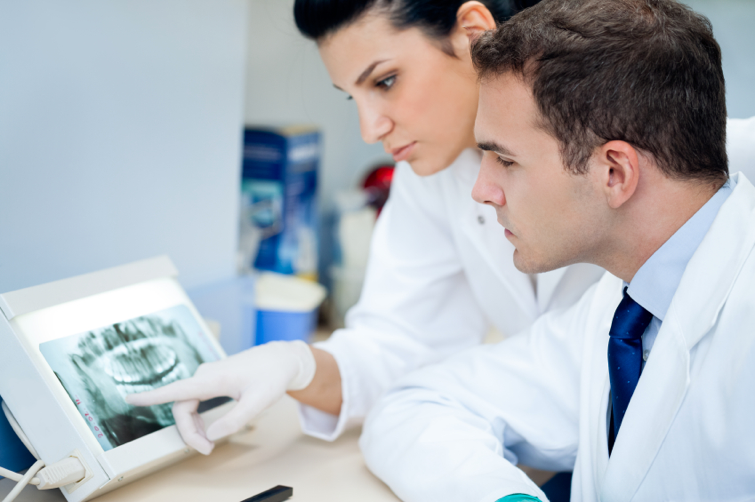 Different dentists may also bring different levels of experience to your specific situation. Obtaining multiple perspectives can help you see the larger picture and make you more comfortable in deciding on a plan of action. 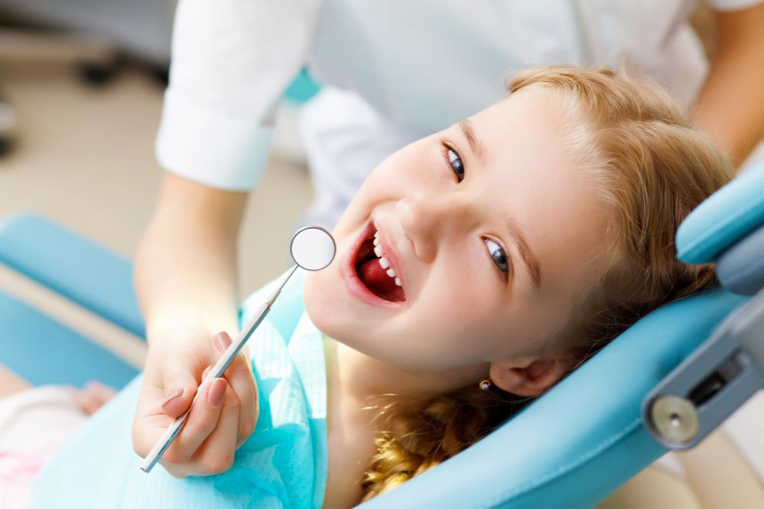 We are more than happy to look at any dental problem or concern you have for a complimentary opinion about treatment. Your peace-of-mind is important to us. Give us a call if you ever feel the need to see if any other options are out there!